It’s Rachel’s sports day, but no-one seems to be having much fun – and how can they, without the missing Fun Day Flag? 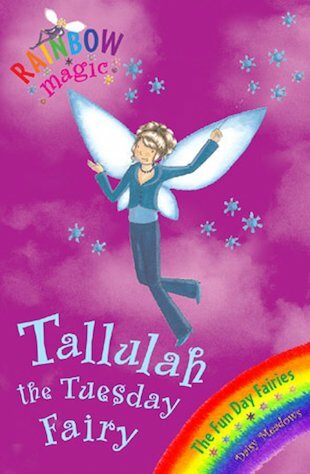 Tallulah the Tuesday Fairy needs to get her magic flag back if she’s going to save the day. But will Rachel and Kirsty be able to help? Such a great fun book! Tallulah is in charge of Tuesday. This book reminds me of the grizzly games at my school. I wonder if I’ll see a fairy at this year’s grizzly games.